Hi blogger friends. Not sure if anyone at all is still checking my blog since I haven't updated in months! I'm going to try and do better. I end up posting on Facebook instead of here but I want to change that. Today I decided that you all might enjoy hearing some helpful tips from me on cleaning and laundry. These are some things I have found to be helpful and make life easier. I used to dread washing my towels and other linens. I used to wash towels, wash cloths, hand towels and underwear all together. Because I wait until all our linens are dirty before I wash them...I would have at least 4 loads and each load would take forever to fold. Now I have a new strategy, which is actually advice from my Mom. The first 3 loads, I wash towels only. I take my huge basket which holds about 5 loads of dirty laundry and I pull out the towels and leave everything else in there. When each load is done, I can fold the load of towels in about 5 minutes. I fold all towels and put them away immediately. After the big towels are done, I wash all the underwear, white socks, wash cloths and hand towels in one load! (I use bleach and hot water for all of these and the towels.) I can just pour the small things out of the bottom of the basket which is also a time-saver. Now I have only ONE annoying load to fold. I put my clean basket on the floor in front of the dryer and toss the clean load in. Then I stand at my kitchen island and watch tv online and fold for about 20 minutes. One key I have found to keeping the laundry done and not dreading it - is to PUT IT AWAY IMMEDIATELY. Except for the towels I mentioned above, anytime I do laundry, I put the entire load away immediately. It always seems like so much going in the washer but after folding, it's one small stack. As I fold clothes, I stack them according to the person they belong to. Then I put them all together and quickly put them in the proper drawers. I used to completely fill up my kitchen island with clean laundry and think, "I'll put all this away when everything is clean." Then that would never happen! I would leave the clean laundry on the counter until we had worn all the clothes! When something isn't working for me, I try to re-strategize. Putting each load away causes me to have to go up the stairs about 8 times in one day on my laundry day but you know what? I need the exercise! Another thing I do to make it go quicker is I keep hangers right by the dryer. As I take each item out of the dryer, I hang the items that need hanging and fold as I described above. If something needs to hang to dry, I put that on a hanger and then hang it up on my bedroom doors. 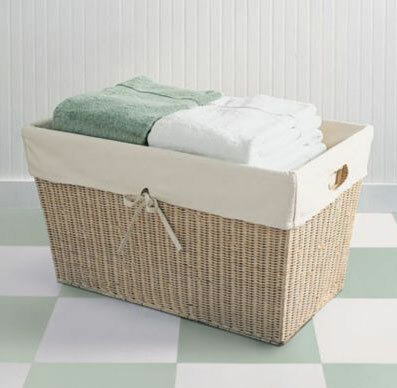 I promise you these steps will make your laundry process go smoother and quicker. Staying on top of the laundry really helps me be happier because I don't have that nagging feeling of being behind! Finally!!! I'm one that checks my favorite blogs every day. Glad to see you back. I enjoy reading blogs better than facebook because you can get to the "meat" of the story! Sorry to keep you hanging on Barbara! Glad you are reading! Great advice! I too am guilty of not putting the laundry away until its all done. I'll try going by load and see how it works for me. Thanks! So when I re-setup my Outlook mail, all of your blog feeds came in. So I'm working my way backwards looking at what I missed. I would love to see more cleaning tips and inspiration. And since I don't feel like I have time to comment on every single one, I'll say here that your owl card looks adorable! And I really like how you stacked your cards and only showed a bit of it. That makes it more enticing to take your class. If I see a whole card, it makes me feel like I can do that myself. It's too easy to copy. This is a great post I have ever read on Cowhide rug. Surely it is an awesome part of home decoration. It not only enhances the beauty of the room but also makes comfortable feeling in the mind of the home owner. I like the way you presented the topic. Thanks for sharing.